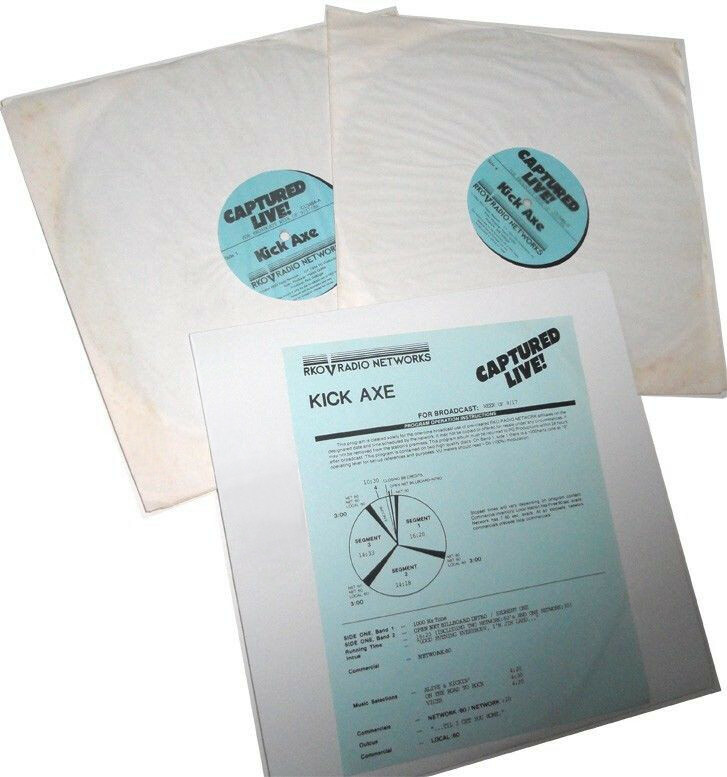 [remark]: Captured Live is a live recording taken from the Vices tour at the Country Club in San Fernando Valley, California, USA for a broadcast on the week of September 17, 1984. This recording was released only on vinyl 2LP format for promo purposes and distributed to a selected group of radio stations for a one time only broadcast. Immediately after this event the LPs were returned to the record company (Rainbo Records Mfg. Corp., 1738 Berkeley, Santa Monica, California, USA). The recording exists in two formats: of a broadcast format from the RKO Radio Network and without radio announcing. However that recording - under the name Alive & Kickin - is more rare. The song Running Wild In The Streets was written by Spencer Proffer & Kick Axe and was never released on a Kick Axe album but was released on the W.A.S.P. album The Last Command in 1985.